We helped transform this Lake Geneva bathroom with a few awesome updates. 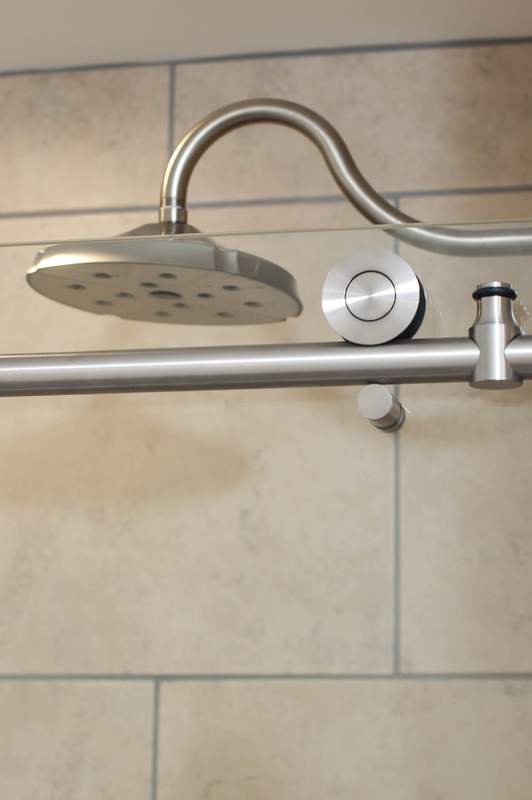 First, we upgraded the shower – by enlarging the shower bench, retiling the interior and exterior of the shower walls, replacing the glass doors, and installing a new shower head and system. 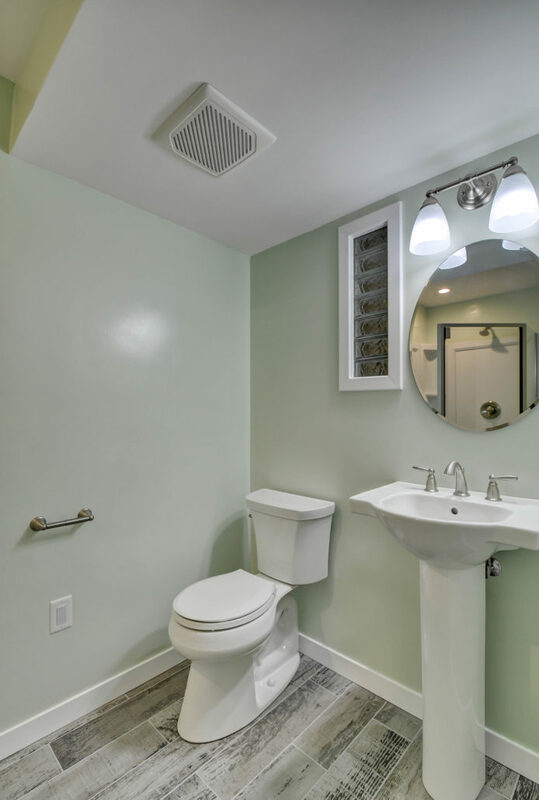 Second, we cut the dividing wall between the toilet and sinks in half to enlarge the space. 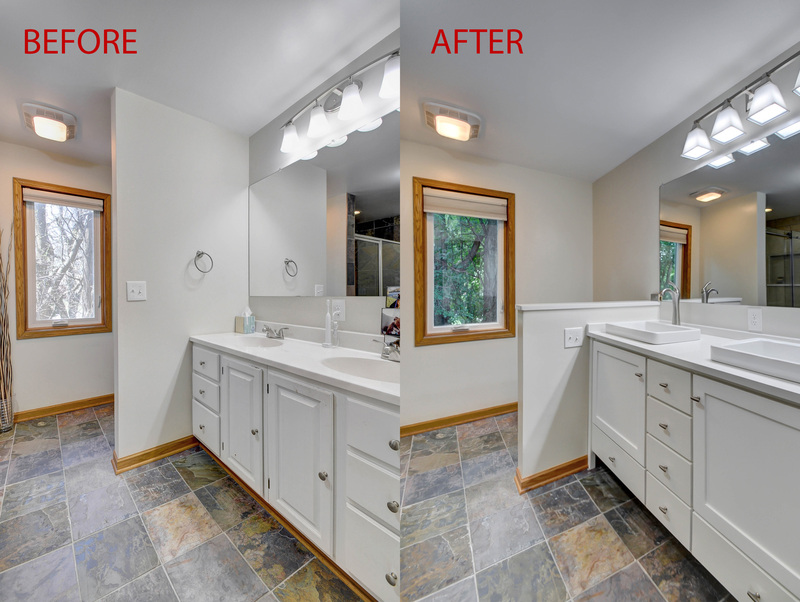 Finally, we replaced the vanity with a new one – that features beautiful cabinets and dual sinks – and updated the light fixture above the mirror. 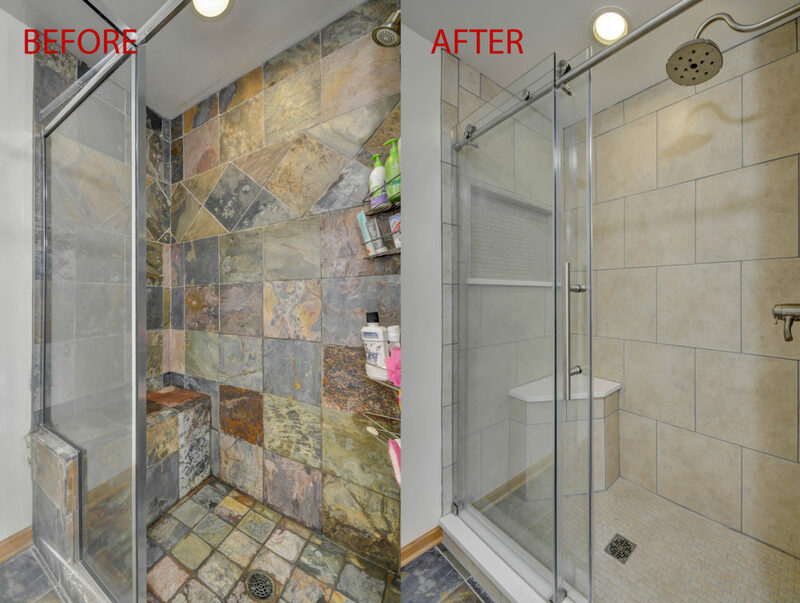 The project was not finished with just this bathroom either. We installed a small bathroom in the basement of this Lake Geneva home too. 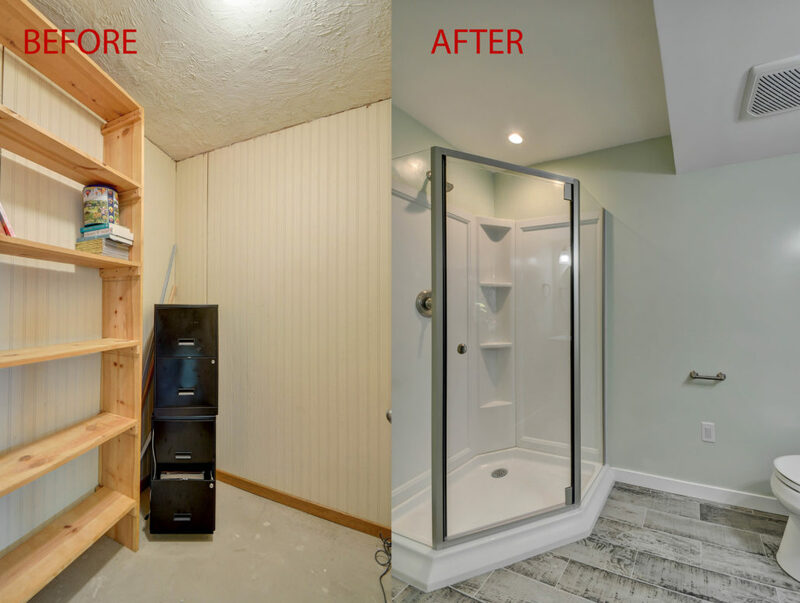 For the new bathroom we had to find a solution that really maximized the space available – since we were transforming a closet. We installed a corner Shower with beautiful glass doors and chose a sink, mirror, and lighting fixture that would provide enough function without taking up too much space. Our team also installed the flooring, painted the walls, installed the plumbing, and added ventilation. 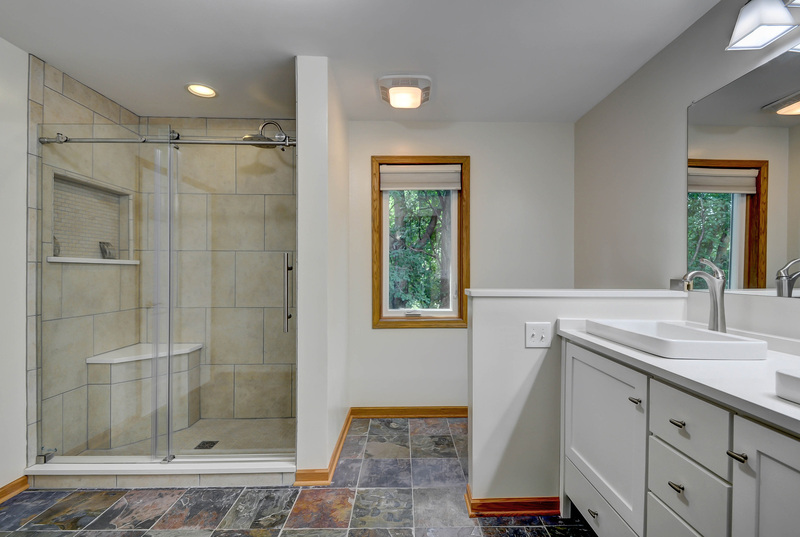 If you’re thinking of remodeling a bathroom in Lake Geneva, Wisconsin; make us your first call for an estimate! 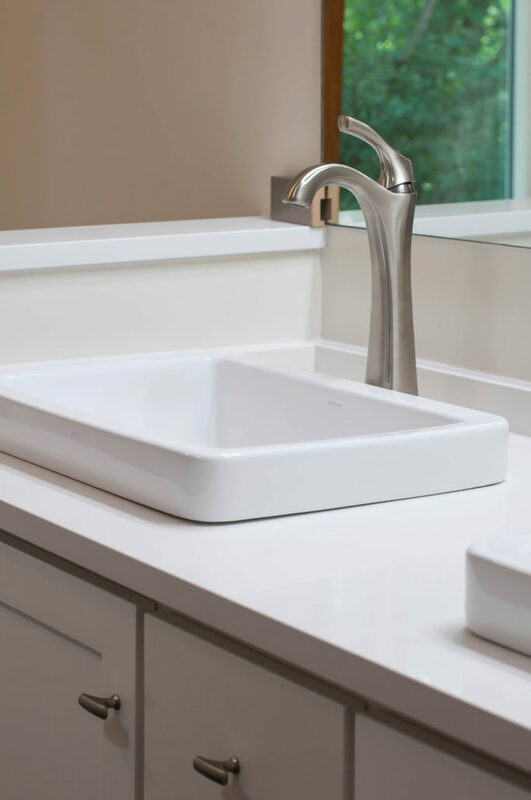 Contact Elite Improvements for your Custom Bathroom Estimate today.